CIO Applications Magazine Recognizes Innovations in Sales Technology. 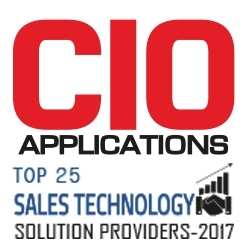 Denver, CO, January 10, 2018 --(PR.com)-- CommercialTribe, a leading sales management software provider, was recognized by CIO Applications Magazine in their annual Top 25 Sales Technology Solution Providers for 2017. With innovative platform and services solutions that help sales organizations develop frontline sales management coaching skills, CommercialTribe is uniquely positioned in the sales technology industry to measurably improve sales management performance.